Glitter Glue is a must-have supply for all crafters! 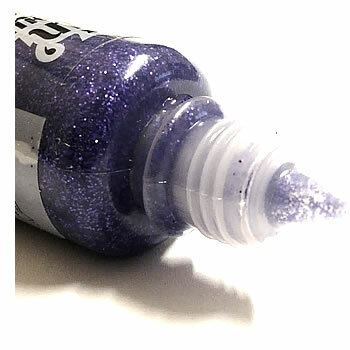 Glitter glue is much easier to use than standard glue and loose glitter because the glue and the glitter are already combined together, making it less messy and easier to control. We stock many different colours that will make your next project sparkle with joy! Click here to take a look at the huge variety of bling that we have in stock. Our designers are always using glitter glues in interesting ways! Visit our blog for more inspiration.